Raymond Edward Kniker, age 59, of Odin, Illinois, passed away at 9:06 A.M. on Monday, October 1, 2018, at his home in Odin, Illinois. He was born on April 30, 1959 in Saint Louis, Missouri, the son of the late William Elmer and Virginia Lee (Nogle) Kniker. He married Kelly Jean Wood on April 30, 2004 in Salem, Illinois and she survives him in Odin, Illinois. 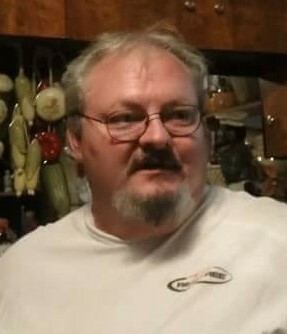 In addition to his loving wife of 14 years, Mr. Kniker is survived by his children, Javeena Kniker, Lindsey Kniker, Annie Parker, Jake Parker, Raymond Parker, Brian Kniker, Craig Webb, and Christy Webb; 24 grandchildren; sisters, Teri Kniker Salzer and husband Russell of Florida, Carmen McClaren of Centralia, Illinois and Mary Kniker of Centralia, Illinois; brothers, Ronald Kniker of Odin, Illinois, James Wadley of Centralia, Illinois and Harry Wadley and wife Carolyn of Centralia, Illinois and many aunts, uncles, nieces, nephews and friends. Mr. Kniker was preceded in death by his parents; son, Lawrence Parker; grandson, Ray Ray Parker and uncle, Ray Nogle. Mr. Kniker was a member of Odin First Baptist Church in Odin, Illinois. He was a communication specialist in the U.S. Army stationed in Heidelberg, Germany for 8 years proudly serving his country. 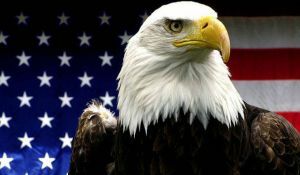 He enjoyed online gaming and collecting eagles. He did not limit himself as he assisted with the building of his mini-cabin and installed a fence from his wheelchair. Mr. Kniker was a true family man that cherished the time spent with those he loved. He loved to share a meal with others at family barbeques. He will be remembered as a devoted husband, father, grandfather and brother. Mr. Kniker was formerly employed at Radiac Abrasives in Salem, Illinois for 18 years and was formerly employed at the same time at C-Mart in Salem, Illinois for 8 years. He also did computer repairs and hospital billing from his home. He has lived in Odin, Illinois since 2000 and previously lived in Salem, Illinois and Centralia, Illinois. Celebration of Life Services for Mr. Raymond Edward Kniker will be held at 11:02 A.M. on Saturday, October 6, 2018, at Moran Queen-Boggs Funeral Home in Centralia, Illinois with Pastor Kyle Emery officiating. Military rites accorded by the Centralia American Legion Post 446 and V.F.W Post 2055. Friends may visit with Mr. Kniker’s family from 9:00 A.M. until the time of services at 11:02 A.M. on Saturday, October 6, 2018, at Moran Queen-Boggs Funeral Home in Centralia, Illinois. In lieu of flowers, memorial contributions in Mr. Kniker’s honor are suggested and will be received at the Moran Queen-Boggs Funeral Home in Centralia, Illinois. Please view the online obituary, send condolences or share memories with Mr. Kniker’s family at www.moranfuneralhome.net or on the funeral home’s Facebook page.